Dr. Joshua Landis, internationally recognized Syria expert and founder of Syria Comment, linked to the above photo on his Twitter account today (3/29). Landis commented: “Al-Qaida’s flag now flies on the Mediterranean Sea” -presumably in acknowledgement of the historic precedent this sets. The Syrian rebels are in the midst of a new coastal offensive in Northwest Syria – a region that has historically been a stronghold of government support. This offensive has the full backing of Turkey and other NATO countries, including the United States. The Kassab border crossing with Turkey, recently under rebel control, has become an open access point for Al-Nusra and other terrorists. Video footage has recently emerged, confirmed as authentic by multiple Syria experts, of Al-Qaida affiliate terrorists flowing freely into Syria from the Turkish side of the border. According to last week’s leak of Turkish officials discussing Syria war plans, Turkey was set to potentially invade Syrian territory based on the pretext of fighting ISIS and other Al-Qaida groups. In short, Turkey would lay blame for a terrorist attack launched from Northern Syria on the very rebels it is currently letting flood through border crossings such as Kassab. While the leaked discussion was acknowledged as authentic by the Erdogan government, and this open admission of a false flag planned attack is everywhere in Turkish and Middle East press, it got buried with remote reference at the end of a news week in the U.S. – most articles merely emphasized the YouTube ban enacted by Turkey a result of the leak. The below photo is the beautiful Armenian Christian town of Kassab, recently “liberated” by Al-Qaida affiliated forces, with the backing NATO countries. Multiple reports and photos are circulating of beheadings, church desecrations, and the raising of Al-Qaida flags over churches and public buildings. Kassab residents are telling international reporters that initial heavy shelling, which kicked off the rebel operation, came from the Turkish side of the border. 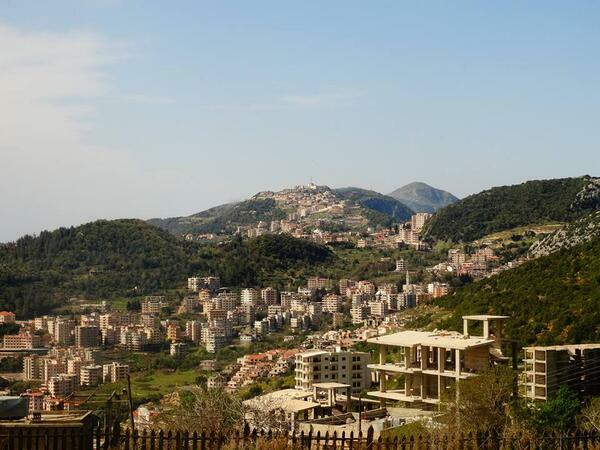 The clashes led most of Kassab’s estimated 2,000 residents to flee some 35 miles to Latakia city, emptying out a village that boasted a Catholic, Orthodox and Protestant church. This is textbook genocide. The Armenian inhabitants of this region are not politically active – they are in a sense long-term refugees settled in Northern Syria as a result of the infamous 1915 Armenian Genocide at the hands of the Turks. Are we witnessing a renewed Armenian Genocide by proxy? At the very least, this day, March 29, 2014, will go down in history as the day Al-Qaida waved its flag victorious on the Mediterranean Sea under NATO’s watch.